The X Men manicure will clean and shape your nails, and treat your cuticles, which is vital for keeping your nails healthy and strong. 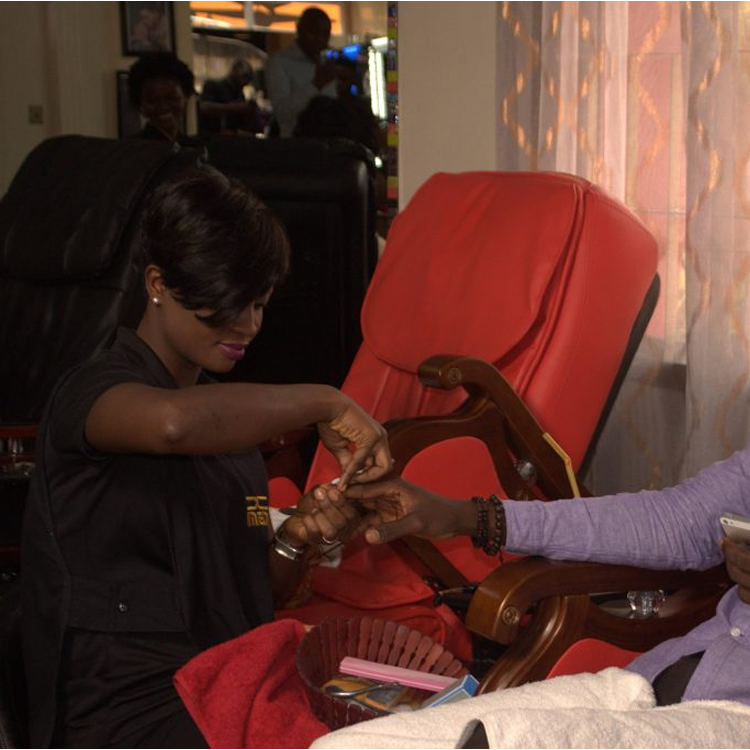 Our manicure also remove dead skin cells, and improves blood circulation & stimulates blood flow. The X Men pedicure is done for cosmetic, therapeutic and medical purposes, and can help prevent nail diseases and disorders. Our pedicure (with optional paraffin wax) is not just limited to nails! We also provide pumice stone treatment, granular exfoliation, and application of moisturizing creams. Did you know our professional pedicures include a brief leg massage which leaves you feeling relaxed? The X Men pedicure prevents fungal & other infections!